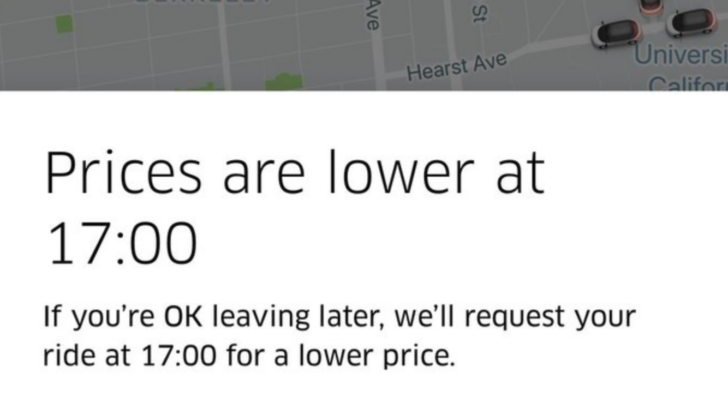 During times when a lot of people are requesting rides, Uber prices go up. 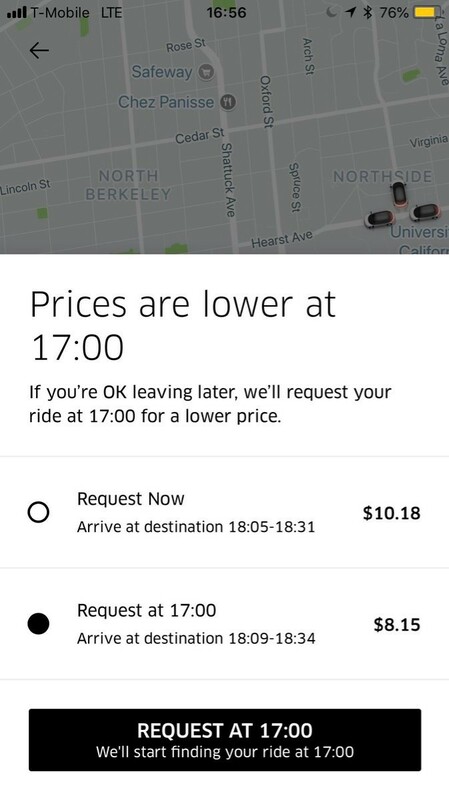 It makes sense: higher fares incentivize drivers to be available to give rides during high-traffic times, which keeps customers happy. If you have more time than money, though, you'll probably be pleased to hear that the ridesharing company is testing an option to call a car for later at a lower cost. 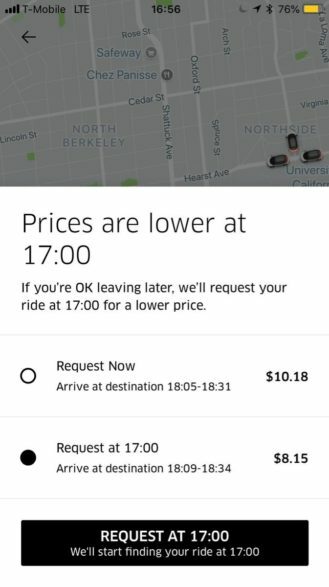 The feature is apparently being tested by Uber employees in the San Francisco and Los Angeles areas. One employee shared a screenshot of the new option in action on Twitter, but subsequently deleted the tweet. Screenshot tweeted, then deleted, by Uber employee Gregory Jacobs. Earlier this month, Uber ride calling was removed from Google Maps. Uber's last notable feature update was a "panic button" that calls 911 from inside the app, but this is a lighter addition, less about safety than convenience. If you're not in a hurry and want to save some cash, the feature could come in handy.